Thursday night on the “Real Investment Hour” radio show, I noted it was quite likely the market would get a bounce as soon as something was done to shore up the issues surrounding Deutsche Bank. Well, on Friday, that happened as Agence France Press (AFP) reported that Deutsche Bank was nearing a $5.4 Billion settlement with the U.S. Justice Department. A largely reduced fine shored up some of the capital concerns for the bank sparking a huge rally in its shares on Friday and sparked a short-covering buying frenzy in the banking sector. In other words, for the week, we round-tripped right back to where we started – again. How about that for volatility? The GOOD news is the market has continued to hold support along the bullish trend line which goes back to the February lows. This continued defense of bullish support has been consistent enough to allow us to add a small trading position of an equal weight S&P 500 index ETF to portfolios. Importantly, this is a trading position only currently with a stop set at the bullish trend line support. The BAD news continues to outweigh the good, unfortunately. As shown in the chart above, the market was unable to close above the 50-dma keeping that level of resistance intact. Furthermore, the intra-day rally failed at both the average of the previous trading range and the downtrend resistance line from the August highs. “In what appears to be another case of “Wells Fargo-esque” scapegoating of junior employees to keep senior execs off the hook, just weeks after Milan prosecutors shelved a probe against Monte Paschi’s former chairman and CEO for alleged market manipulation and false accounting as it “risked undermining investor sentiment”, a judge approved a request by Milan prosecutors to try the bankers on charges involving two separate derivative transactions arranged with Nomura and Deutsche Bank, said a lawyer involved in the case who was in the courtroom Saturday as the decision was announced Bloomberg reports. Yes, it certainly seems as if Central Banks have figured it out. The question is simply what happens when they run out of stuff to buy? The point the Brent makes is very important. Last week, one of the firms clients called my partner and asked why his portfolio was still weighted in equities when I was so clearly “bearish” on the market. I am not bearish on the markets. I am not bullish on the markets either. As I have often stated, my job as a portfolio manager is simple; invest money in a manner that creates returns on a short-term basis but reduces the possibility of catastrophic losses which wipe out years of growth. The problem with being with “bullish” or “bearish” is that you develop a “confirmation” bias which blinds you to potential problems with your investments. That is correct. If you want the bullish spin on everything turn on CNBC. My portfolios are currently invested. Me telling you why the market is going up is a bit pointless and not very helpful. So yes, each week I point out the risk that could hurt you. If that makes me a “bear,“ so be it, but I have survived the “Crash of ’87,” the “Asian Contagion,” “Long-Term Capital Management,” the “Dot.com Crash,” and the “Financial Crisis,” and am still here. The reason I consistently point out methodologies and procedures to take profits, trim losses, and rebalance overall portfolio risk is to make sure you survive the next downturn as well. There are no great investors of our time that “buy and hold” investments. Even the great Warren Buffett occasionally sells investments. Real investors buy when they see value, and sell when value no longer exists. While there are many sophisticated methods of handling risk within a portfolio, even using a basic method of price analysis, such as a moving average crossover, can be a valuable tool over the long term holding periods. Will such a method ALWAYS be right? Absolutely not. However, will such a method keep you from losing large amounts of capital? Absolutely. The chart below shows a simple moving average crossover study. The actual moving averages used are not relevant, but what is clear is that using a basic form of price movement analysis can provide a useful identification of periods when portfolio risk should be REDUCED. The reason that portfolio risk management is so crucial is that it is not “missing the 10-best days” that is important; it is “missing the 10-worst days.” The chart below shows the comparison of $100,000 invested in the S&P 500 Index (log scale base 2) and the return when adjusted for missing the 10 best and worst days. Clearly, avoiding major drawdowns in the market is key to long-term investment success. If I am not spending the bulk of my time making up previous losses in my portfolio, I spend more time growing my invested dollars towards my long term goals. There are many half-truths perpetrated on individuals by Wall Street to sell products, gain assets, etc. However, if individuals took a moment to think about it, the illogic of many of these arguments are readily apparent. Chasing an arbitrary index that is 100% invested in the equity market requires you to take on far more risk that you realize. Two massive bear markets over the last decade have left many individuals further away from retirement than they ever imagined. Furthermore, all investors lost something far more valuable than money – the TIME needed to achieve their goal. To win the long-term investing game, your portfolio should be built around the things that matter most to you. The index is a mythical creature, like the Unicorn, and chasing it has historically led to disappointment. Investing is not a competition, and there are horrid consequences for treating it as such. Despite the ongoing Central Bank interventions which seemingly have replaced all fundamental and economically driven market cycles, I can assure you “this time is not different.” The rising risk of the next asset bubble is clearly present and the ending will be just as brutal as the last. Paying attention to the “risk” doesn’t make you “bearish,” it allows you to survive the long-term investment game. Another inflection on Friday’s market action was the end-of-the-quarter “window dressing” by mutual and hedge funds. 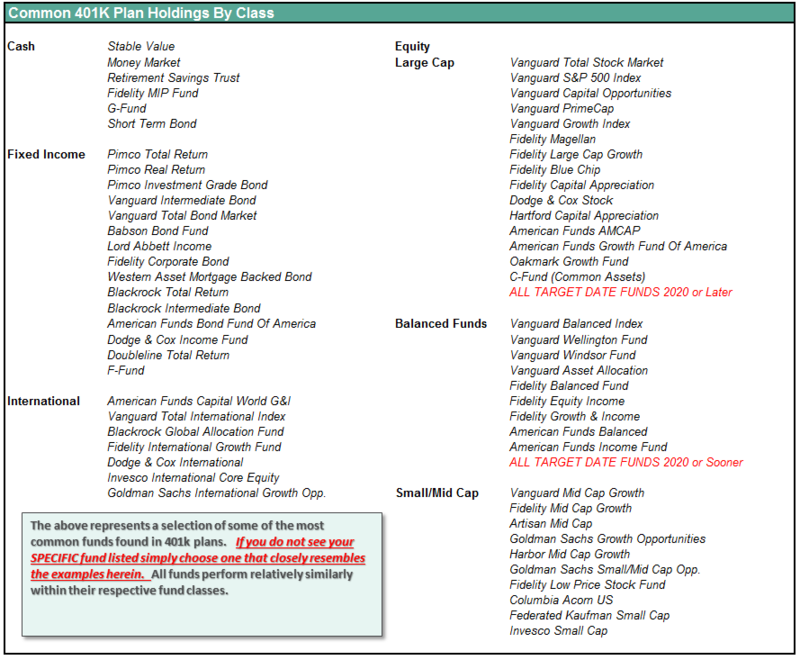 This is where portfolio managers buy positions they need to report on their quarter-end statements as owning. For example, if Apple ($AAPL) is the “hot stock,” and the fund manager doesn’t have it in the portfolio, he buys it so it will show up on the quarter-end report. This hopefully keeps investors happy and invested in the fund. Yes, just more fun and games on Wall Street to keep you buying the “product” they are selling. However, this quarter-end action leads to volatility in markets which can distort investor attitudes on a short-term basis and obfuscate some of the inherent market risks. Like September, October also tends to be a month where “bad things” can happen in the market. Jeff Hirsch, via StockTrader’s Almanac, made this point this past week. “October has a frightful history of market crashes such as in 1929, 1987, the 554-point drop on October 27, 1997, back-to-back massacres in 1978 and 1979, Friday the 13th in 1989 and the 733-point drop on October 15, 2008. During the week ending October 10, 2008, Dow lost 1,874.19 points (18.2%), the worst weekly decline in our database going back to 1901, in point and percentage terms. It is no wonder that the term ‘Octoberphobia’ has been used to describe the phenomenon of major market drops occurring during the month. But October has also been a turnaround month—a ‘bear killer’. Twelve post-WWII bear markets have ended in October: 1946, 1957, 1960, 1962, 1966, 1974, 1987, 1990, 1998, 2001, 2002 and 2011 (S&P 500 declined 19.4%). However, eight were midterm bottoms. This year is neither a midterm year, nor is a bear market in progress, thus October’s performance in past election years is of greater importance. The idea of a buying opportunity does line up with the seasonal tendency for year-end rallies. However, while the odds suggest that such a rally is likely, it must be tempered by the issues of weakening economic data, deteriorating fundamentals, declining profits and a Federal Reserve who insists on trying to raise interest rates. Just be careful. Currently, there are more things that can wrong than right. That isn’t “bearish,” it is just a fact. Last week, I analyzed each of the major sectors and markets. Click here to review that analysis. As stated at the beginning of this missive, the bullish trend remains intact currently and the “buy signal” from the February lows is still rising. However, that “buy signal,” as shown at the bottom of the chart, is close to reversing. With the S&P 500 currently in a very tight consolidation pattern, a break to the downside would likely quickly test support where the previous breakout level intersects with the bullish trend from the February lows. A violation of that level would likely lead to a rather sharp market correction of 8-10%. We can see this pattern a bit more clearly by looking at a daily chart. The dashed red-lines show the consolidating “wedge” pattern currently building. A break out of this consolidation to the upside will lead to a very quick test of old highs with a breakout to “new highs” being an opportunity to increase equity exposure in portfolios for a seasonal year-end advance. As shown, the market on a short-term basis remains extremely overbought and on a “sell signal” currently. This puts the market at risk of a break to the downside. Such a break will likely see markets quickly attempt a test of the 200-dma around 2060, with 2000 being the next most likely support. “Currently, the market continues to struggle under an ‘active sell signal’ and the bullish trend support is not far below. If the market fails support of that trend-line expect a bigger correction to ensue. “The markets remain confined within what currently appears to be a broadening topping pattern, or megaphone, which historically suggest a much bigger correction may be in the works. As with the chart above, the overbought condition of the market, combined with active sell signals, suggests the environment for more aggressive equity exposure is not currently present. As I stated above. The “bullish trends,” supported by ongoing Central Bank interventions, remain intact for now. Therefore, we remain invested, but do so cautiously with an eye on the risk of something eventually going wrong and plan for doing something about it when it does. After a volatile price week, nothing much has changed from last week. While the advance was good, it failed to clear the 50-dma and which remains resistance for now. While actual portfolio equity risk weightings remain below our target of 75% again this week, the consolidation pattern of the market keeps us somewhat on hold. However, as stated above, I did add a small trading position to the portfolios of an equal weight S&P 500 index ETF. I am maintaining a very tight stop at the current running bullish trend line, as shown below. I am not highly confident in the addition of the position at the current time, but the market has continued to consistently hold the bullish trend line. Again, this is a trading position and NOT a long-term hold at this point. Outside of the addition of the one trading position this week, I do have sector specific trading positions loaded into the system which will be executed consistent with a breakout to new highs. Let’s take a look at the equal weighted portfolio model. Notice in the next to last column to the right, the majority of sectors which have previously been pushing extreme levels of deviation from their long-term moving average, have corrected much of those extremes. Utilities, Staples and Discretionary have remained under pressure this past week and leadership picked up in International, Small Cap and Financial sectors due to the short-covering push on Friday. However, given that a bulk of the sectors remain either in weakening or lagging sectors, this suggests the current advance in the market remains on relatively weak footing. Profits should be taken out of Technology stocks within the next week or two as the current outperformance of this sector is very long in the tooth. Look for a rotation from Technology back into “safety” sectors in the days ahead. With only a slight tweak to last week’s opening sentence, everything pretty much remains the same. This past week the markets bounced sharply off of the bullish trend support line as Deutsche Bank received a reprieve with rumors of a reduced fine from the DOJ. However, with that, we round-tripped right back to where we started from. So, is the correction over? Not sure just yet, again. Early warning signals are suggesting the correction has more room to go, so let’s be patient once again this coming week. Tightening up stop-loss levels to current support levels for each position. With the election right around the corner, increased volatility is expected. Therefore, having a little extra cash in portfolios will likely be a good hedge.